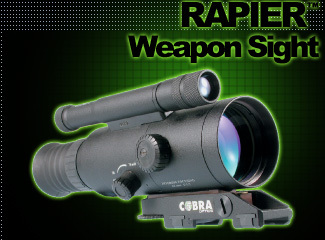 NVMT Riflescope Kit -- is a device that can be used as a night vision monocular or a riflescope. A dot of a laser pointer is used as an aiming reticule of the device. 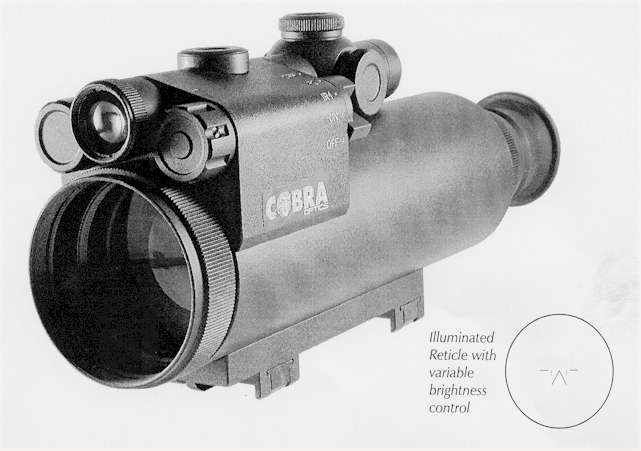 With the laser pointer installed on the night vision or the rifle can be used independently during the day. Night vision monocular has high illuminative and high magnification power. 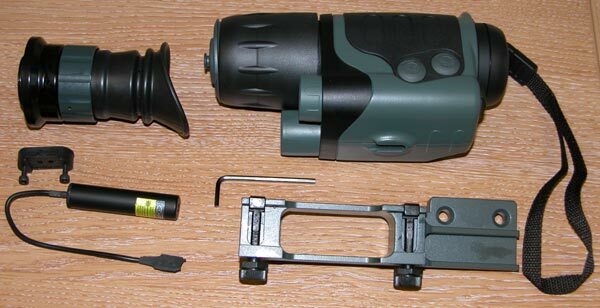 With rifle eyepiece and rifle mount in place, the device can be used as a night vision riflescope. The kit allows NVMT to be used in many situations and for a range of purposes.